At this past Evolver Atlanta meeting, I presented a brief overview of how the Mayan Sacred Calendar (Tzolin) can provide insight on how you relate to others in the community. The calendar itself contains an amazing amount of information, and when we change the layout, we get an easier way to view the different overlaps with others. 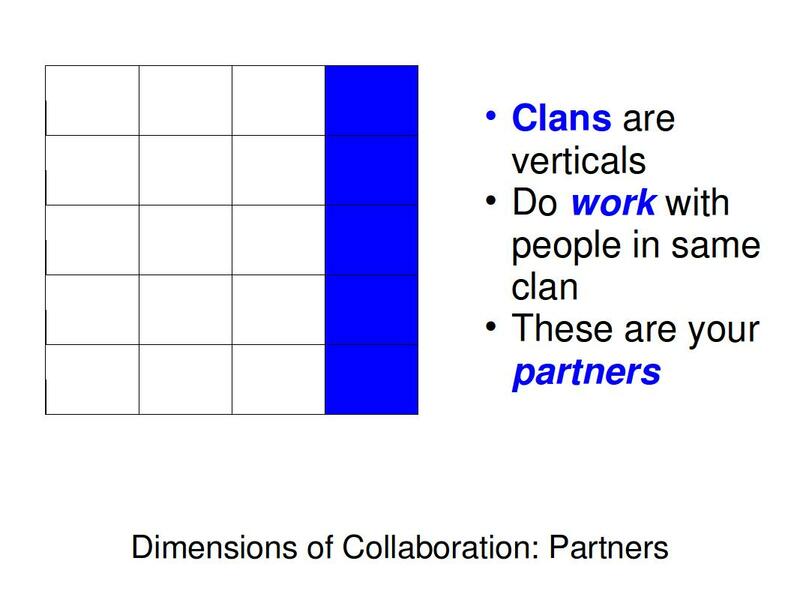 In particular, we arrange the Clans into a vertical arrangement (4 vertical columns – one for each clan – side by side). The upper right corner is Ahau (yellow Sun) and the bottom right corner is Cauac (blue storm). If you are in the same column with someone, you are in the same Clan. Those in the same Clan create the same type of energy. These are thus your Partners, the people you work with. If you are in the same row as someone else, you play the same role in the tree of your clan. These are your friends and you speak the same language. You can get together to share experiences and thus learn to do your job better. 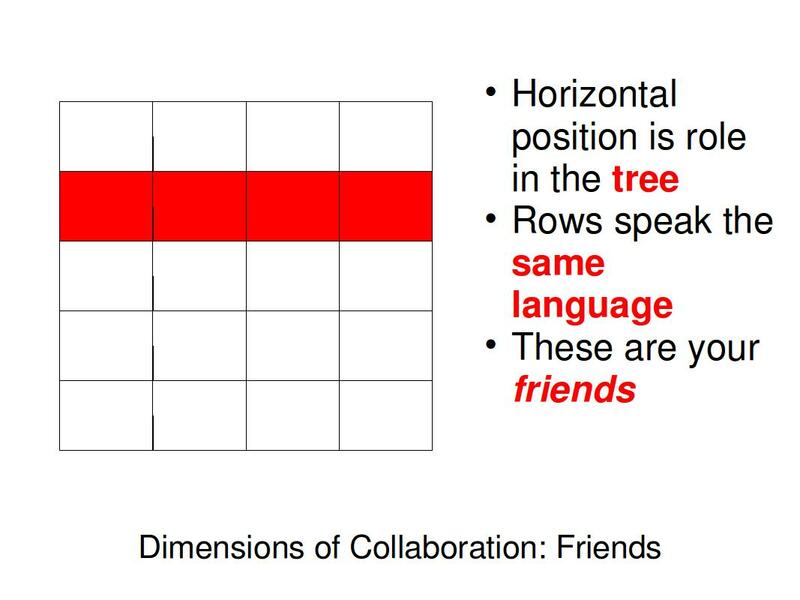 Those in the same row as you are your friends and speak the same language. 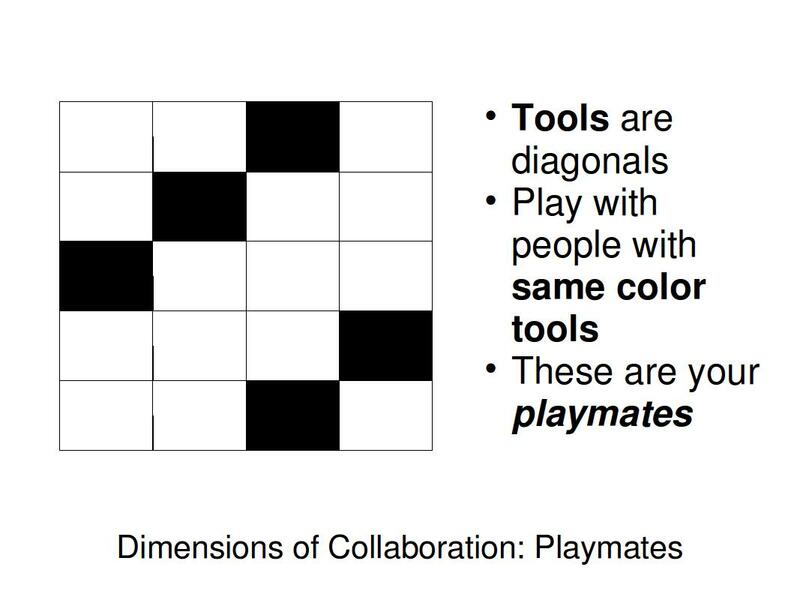 If you share the same color tools with someone else, you make good play mates. You play together to sharpen your skills. The tools are the same color across the diagonals of the signs. If you have the same color tools as someone, you can play together to sharpen your tools. If you’d like to learn more about this, please see the writeup here. If you’d like us to prepare a Tzolin Personal card for you with all the information about where you fit in, you can sign up for one here. For the last several years, many in the Atlanta tribe have been exposed to the Mayan Sacred calendar, or Tzolkin. There have been some great teachers in the area over these years and we have come to understand that the calendar is a gateway to effective collaboration and provides the insight to how we work together and relate to one another. With the looming concerns about 2012, there’s no better time than now to get to work as a community! We’re already working to make the world a better place and now we want to expand our impact by growing the circle. I would like to invite you to join in this process in and around Atlanta. We have a number of nodes in our network already and we need to expand the number of participants and organizers. To participate, all you need is to show up with open heart and willingness to learn and engage with others locally. You will need to know your places on the calendar and we ask that you make a contribution to support the effort (which will also get you all the info you need about where you are in the calendar!). To help organize, all you need is a willingness to participate by learning a little about how the calendar works and keeping up to 5 other people updated about timings. The idea is that you will help these people get together during times of collaboration for work, play or conversation (depending on where you want to work!). To join up and stay in touch with events, please fan the Nomadslounge facebook page and join us for one of our upcoming events. To get started right away with your contribution to the community and get your calendar reading, please follow the link here (and click the Google Checkout button to complete). lay the groundwork for proposing an app (for Facebook, iPhone, etc) to make it easier to follow the Tzolkin and access timely information. The information shared here is to the best of my abilities a representation of what information has come to me. If you’re interested to help with the creation of the app (all resources welcome – funds, ideas, code, docs etc), please let me know (you can leave a comment here). Read the overview of the Tzolkin (Mayan Sacred Calendar) and how to use it.